What is the future of academic publishing? 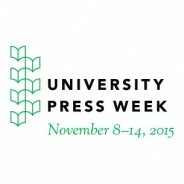 We’re celebrating University Press Week (8-14 November 2015) and Academic Book Week (9-16 November) with a series of blog posts on scholarly publishing from staff and partner presses. Here’s a quick round-up of topics discussed on the University Press Week blog tour on Thursday. For the last few years, the AAUP has organized a University Press blog tour to allow readers to discover the best of university press publishing. On Thursday, their theme was “#tbt” or “Throwback Thursday” featuring the histories of various presses, some fascinating photographs and artifacts from university press history, and historical context from university press authors on today’s concerns. 20 years of Project MUSE. The MUSE team highlights articles, journals, and Lincoln-induced insanity with 20 links, one for each year of its history. 200 years of scholarly publishing. University of Minnesota Press has an extensive timeline of publishers and their foundation dates. From printer’s blocks to 3D printing. University of Chicago Press examins the relationship between scholarship, technology, and the academic institution. Publishing on the Prairies. Ephemera from 40 years of publishing with University of Manitoba Press. Creating with Paper. University of Washington Press shares snaps and facts from 100 years of their publishing history. Double-take. Duke University Press shares surprising journal covers from the past several years. Can you put a filter on that? University of Texas Press recalls Mark Cohen’s street photography from the 1970s to today. One book, one hundred years. University of Michigan Press examines the long history of Michigan Trees, first published in 1913. 2010’s Book Publishing Cause Célèbre. Mark Twain imposed a 100 year embargo on his autobiography, and University of California Press took on the challenge of its frenzied publication. Judging an academic journal by its cover. University of Toronto Press reviews the evolution of its journals’ covers. Waiting for the Second Avenue subway. Fordham University Press author Joseph B. Raskin on the history of the New York City subway system. Be sure to look out for blog posts from Temple University Press, Columbia University Press, University of Virginia Press, Beacon Press, University of Illinois Press, Southern Illinois University Press, University Press of Kansas, Oregon State University Press, Liverpool University Press, University of Toronto Press, and Manchester University Press later today. Featured image: Bad Pyrmont, Deutschland. Photo by Sebastian Unrau. CC0 via Unsplash.